It is time to prepare submissions for the Rita Lloyd Moroney Awards. Each year, the Historian’s Office at the United States Postal Service awards two cash prizes for the best historical writing about the American post office. The first is $2000 presented to a faculty member, independent scholar, or public historian for a journal article, book chapter, or book; and the second, $1000 to an undergraduate or graduate student for a journal article, book chapter, or conference paper. 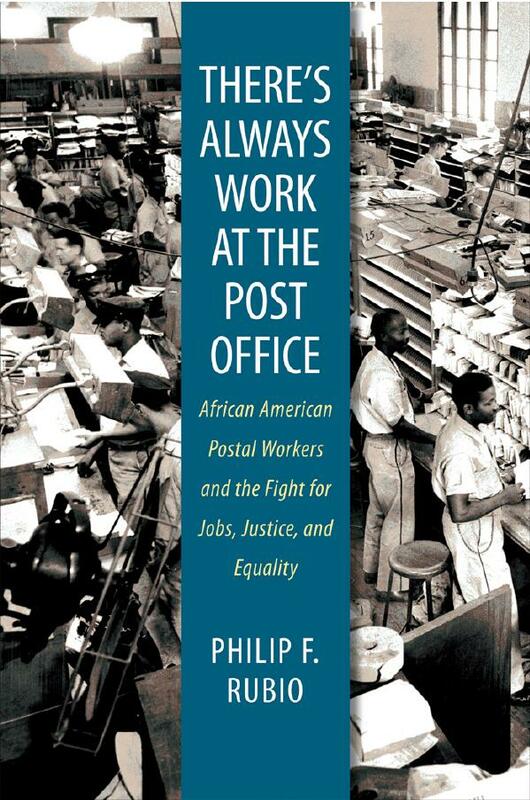 This year they were won by Philip F. Rubio for his book, There’s Always Work at the Post Office: African American Postal Workers and the Fight for Jobs, Justice, and Equality (Chapel Hill, 2010) and Joseph M. Adelman for his article, “A Constitutional Conveyance of Intelligence, Public and Private: The Post Office, the Business of Printing, and the American Revolution,” published in Enterprise & Society. Any topic in the history of the United States postal system from the colonial era to the present is eligible for consideration. Though submissions must be historical in character, they can draw on the methods of other disciplines such as geography, cultural studies, literature, communications, or economics. Comparative or international historical studies are eligible if the United States postal system is central to the discussion. An independent panel of academic scholars, chaired by Dr. Richard Kielbowicz at the University of Washington, makes the selections. To be considered for the 2012 prizes, submissions must be postmarked by December 1, 2011. Winners will be announced in April 2012. The awards were established in 2006 to honor Rita Lloyd Moroney, who began conducting historical research for the Postmaster General in 1962 and served as Historian of the U.S. Postal Service from 1973 to 1991. Ten prizes have been awarded to date.